We are transforming the way digital marketing is done. SharpSpring has a startup atmosphere, but we’re way past the startup phase and we’re growing like crazy. 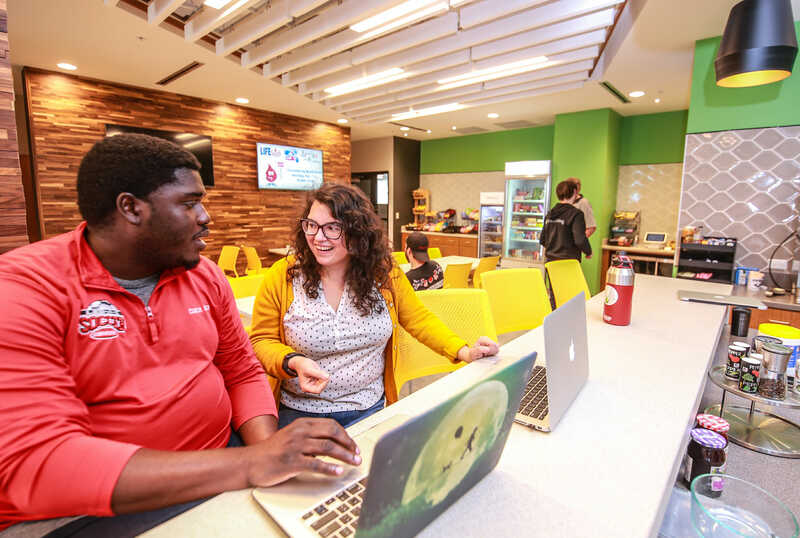 We’re looking for the best and the brightest to join us – people who are committed to their work, confident in their strengths, and ready to help us grow. The best part of working here is the strong sense of community - everyone is here to make a difference, not just a paycheck. I feel proud that I'm working with so many driven people to deliver an incredible product. Our people learn and grow together. Just a few years ago, we had four people in our Gainesville office. We’ve jumped to 185 and we’ve got our sights set on 250. We’re looking for people who like working in small teams, but are excited about being part of a global organization. SharpSpring’s success has allowed me to grow professionally into a role overseeing a variety of our marketing campaigns. The collaborative and supportive nature of our team makes me happy to come to work every day. Here is what our CEO has to say. Hey there. Thanks for checking out SharpSpring. I am very proud and humbled to be leading this company. We’ve built an environment full of dedicated team members who are a huge contributor to our success. Want to find out more about working with us? We’d love to meet you personally to see if you’ll fit into our team. Come on over to the next Buzz networking event or send us a resume. We’re growing like crazy and you might fit right in. SharpSpring helps thousands of marketing agencies and small- and medium-sized businesses in more than 50 countries. We’re committed to helping our customers — real people working to grow their companies — achieve success. At SharpSpring, you see your direct impact on the growth and direction of the company. 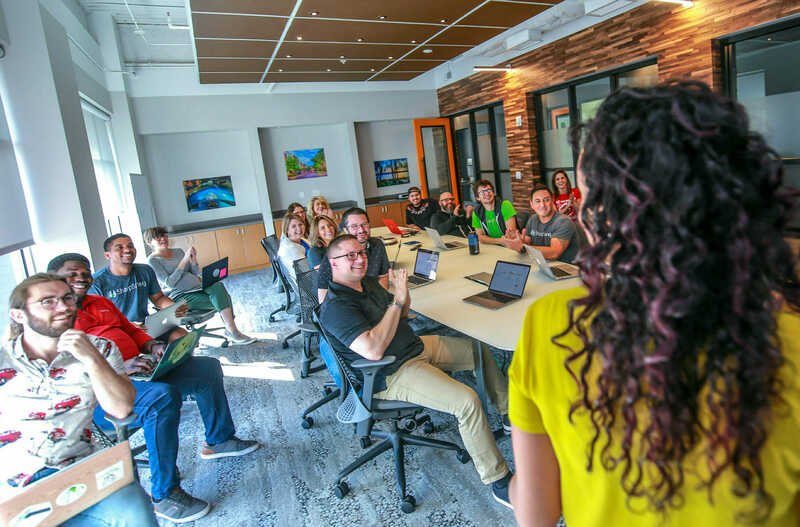 It’s great to be a part of a team where you know your worth and you know your contributions are valued by customers, managers and executives alike. Our Kubernetes clusters process many millions of requests per day. 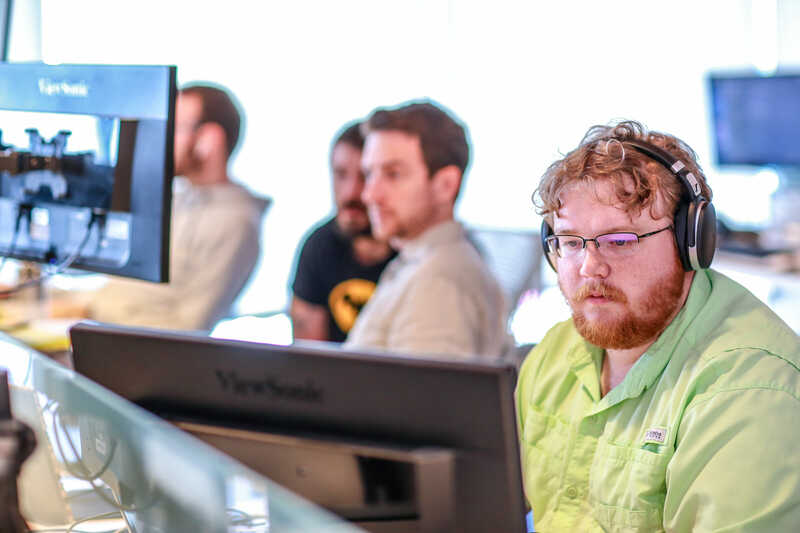 We use the latest container technologies to dynamically scale our infrastructure to respond to changing demands and provide a highly available service to our customers. We work with the latest technologies to keep our teams challenged. Some of our favorites are Docker, Kubernetes, Golang, ElasticSearch, Node.js and React. PHP 7 is our foundation, but we’re actively moving toward Golang for new services. Teamwork and collaboration aren’t just buzzwords for us. 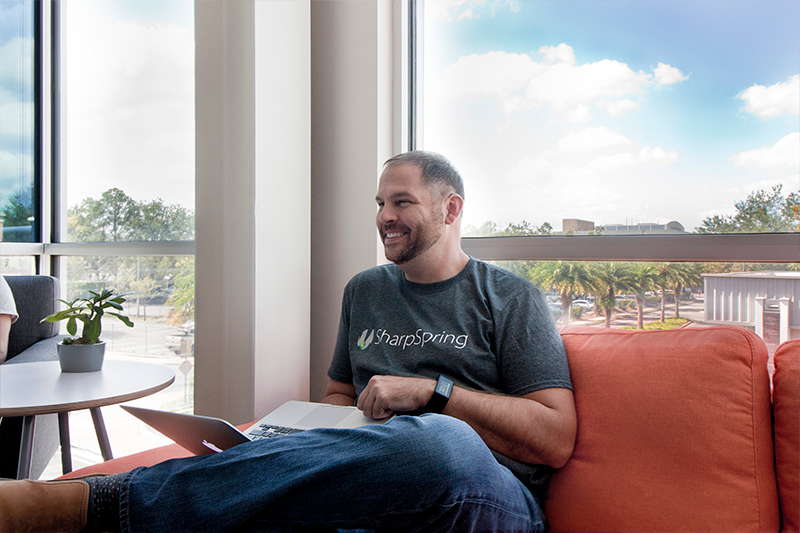 At SharpSpring, you’ll find people who are committed to producing every day. We work on small teams where all levels of employees collaborate and every voice is heard. We hire slowly, looking for the right people. Our company is transparent, and our leadership is present, accessible, and working right alongside our teams. We’re serious but casual, respectful but not uptight. And we’re committed to Giving Back to our community. I love working with talented and creative people every day. Teamwork and collaboration are essential to success here, and it’s so rewarding to see the positive feedback we get from our customers as a result. A few extras to keep our team feeling good. Twice a month, we bring in lunch to make everyone’s Friday just a little bit happier. Feeling stressed? A massage therapist drops by every week to help us work out the kinks. Every other week, we host Buzz – a happy hour networking event for Gainesville tech professionals. Need a car detail? We have someone come to the office for that, too. 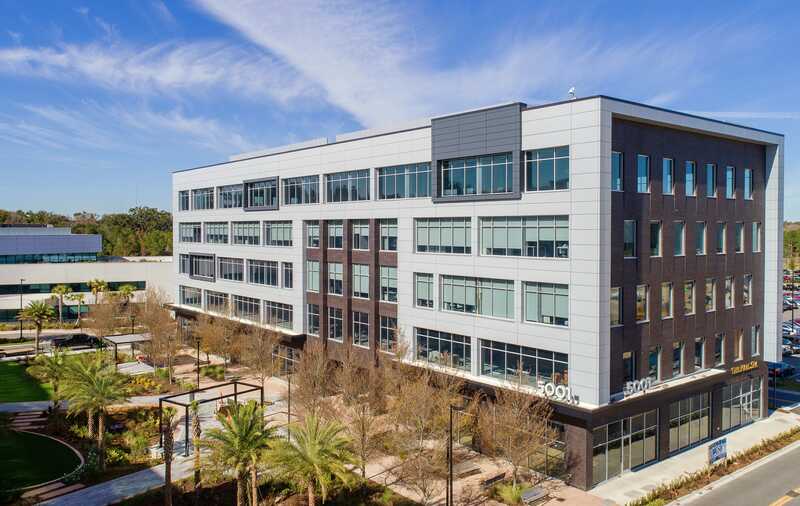 SharpSpring is headquartered in Gainesville, Florida, a vibrant, high-growth city in North Central Florida. Gainesville has the feel of a university town coupled with a thriving business community. The region is a nature lover’s paradise, with a lush landscape and abundant eco-tourism.